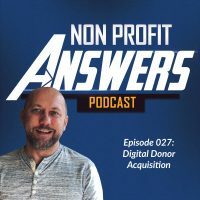 Becoming a successful nonprofit fundraiser isn’t just about what you need to learn or do, it is also about what you need to give up. For 14 years, I volunteered as a football coach in various levels from 5th and 6th grade through high school junior varsity. Each season, I started the team with the basics. How to run. How to get into a good football stance. How to take a first step out of a stance. How to tackle. Good form when exercising. Becoming a good football team required learning how to do all of these essential football techniques. Becoming a great football team required doing all those things but also learning what to give up. You have to give up your ego and learn how to work together with 10 other players on the field. You have to give up the fear of being hit or the fear of tackling another player. You have to give up the emotions that come when you’re down by two touchdowns and learn how to fight to get back into a game. Becoming elite is not only about learning how to do something, but it’s also learning how to give things up. Your past fundraising performance doesn’t guarantee your future performance. In fiscal year 2014, ALS raised $24 million. At the peak of the ice bucket challenge, ALS raised $138 million in 2015. The next year? $25 million. ALS did something smart with the money they raise in fiscal year 2015, they saved it. The organization knew the ice bucket craze wouldn’t continue and the organization wouldn’t maintain the fundraising performance. The opposite is also true: just because you’ve raised small amounts in the past doesn’t mean you won’t increase your fundraising in the future. In 2017, Pencils of Promise raise $7 million. 2018? $11 million. The organization wasn’t content raising just a little bit more each year. Instead, they strategically looked at how they could significantly increase income the next year. Give up thinking small. If you’re designing a new peer to peer program, don’t focus on small opportunities, dream about where you want to be in four or five years and what it would take to get there. I challenged my team this year: what would it take to double our private revenue in the next four years? Not an easy feat at an organization with $65 million in private fundraising last year. Even if we don’t double, what we put into place should significantly improve our revenue. Stop thinking small. Start dreaming big. Far too many nonprofit organizations only like to talk about themselves. Our programs are awesome. We’ve got a big challenge ahead of us in the area we work in. If you saw how big the need is and how awesome we are, you’ll give us more money. Our programs are successful, we have the metrics to prove it. Let me start with: your programs are effective. Your staff are sacrificial. In fact, they’re excellent. You are helping real people with real problems. The need is great, and you’re making a dent. The problem is, talking too much about yourself isn’t attracting new supporters. Your donors want to solve the same problem you do and to help the people you’re helping. The donor wants to understand the impact her donation will make. When you communicate your awesomeness, she has a hard time seeing how she fits in. You might think, “doesn’t the donor make the connection between donating and the great work?” To be frank: they don’t. The donor needs to hear more of the impact she’s making. She needs to be told the stories of real, live people she’s helping. She must understand the need and how she is able to fulfill the need. That’s when she gives. You have to stop talking about yourself too much and start talking about your donor. You have to tell stories of impact and connect what the donor gives to with the positive outcomes. New ideas are thrown our way every week. There’s always something new in fundraising. New platforms. New ideas. One more thing to do. You have to give up chasing small ideas that don’t fit in your strategic plan. If you have a strategic plan, you should filter all of your fundraising ideas and plans through it. If it doesn’t fit, you need to not take it on as an idea. If you don’t have a strategic plan, filter your ideas through your organizational goals. Does it help you achieve your goals? About once a week, I get a sales call about a new “round up to the nearest dollar” platform or a mobile giving system. All of them promise big returns with little effort from your nonprofit. If I were to entertain these platforms, I’d be paying a service fee and promoting their tool to our donor audience. Too many of these platforms turn out to be unprofitable time-wastes. Don’t fall for it – if it doesn’t fit in your strategic plan, don’t chase it. If it does, by all means, find the right solution and move forward. You simply don’t have enough hours or resources to do everything you can imagine. As you grow your fundraising and income, you’ll be able to hire more people to take on the new platforms and ideas to continue to further grow your income. For now, give up on new ideas that don’t fit your goals or strategic plan. There is a larger nonprofit organization in our space that I admire. They do good work. Their fundraising is excellent. They have a lot of resources to invest. I had been admiring the organization and their staff had been admiring our work. Food for the Hungry is a member of an interagency group called the Integral Alliance. We meet twice a year with marketing and fundraising leaders from the other members. The organizations range in level of marketing capabilities from single person fundraising teams to team with over a dozen people. When I present on some of the things we’re doing at FH, I always add this caveat: don’t compare your organization and where you’re at with where we’re at. Just a few short years ago, we had a two person marketing department. What we’re doing now is because we made good growth decisions then. Do what you’re capable of doing right now, and you’ll be able to do more as you grow. Comparison can be so dangerous for your nonprofit. There is only one Charity: water. Having something go viral like the ice bucket challenge is not easily reproducible. You don’t know the number of failures successful nonprofits go through to find a successful campaign. Do the best job you can with the resources you have. Our direct mail team started sending mail to corporate mailing addresses and then would claim corporate donations saying they must have been sourced because of direct mail. Corporate fundraising representatives spent more time finding and correcting these reassignment of donations than building new relationships with corporate partners. Internal fighting over donation attribution can be a cancer in a nonprofit. If you want to become a successful fundraiser, your internal politics needs to stop fighting over donor attribution. If you have a group of donors who have capacity to become major donors and your direct marketing team is not helping them move up in donations so they don’t lose the attribution of this income, you have a significant problem. Your staff would rather “keep” donors assigned to them than increase overall revenue for the nonprofit! Give up fighting over who gets which donations and instead work together to increase your overall income. Do you ever come to the point you need to deliver a great call to action and get scared to ask for a donation? Fear of the ask holds back too many fundraisers. Do you believe in the outcomes your nonprofit achieves? Are you proud of your programmatic work? Do you see the impact your nonprofit makes with beneficiaries? If you answered “yes” to these questions, then you shouldn’t be afraid to ask for a donation. In fact, I’m going to boldly tell you you’re stealing an opportunity from the donor. The donor has a desire to help the people your nonprofit supports. She has a desire to fight for your cause. Your nonprofit organization is the tool she uses to fight for the cause. When you have a weak ask, or if you fail to ask for the donation, the donor loses the opportunity to fulfill something she wants to do. If you want to be a great fundraiser, you must give up your fear of asking for the donation. Along with the fear of asking for money, you may be guilty of weak asks. A weak ask is one that isn’t direct and doesn’t motivate the donor to give. If you’ve ever said, “Please consider supporting us,” you’ve made a weak ask. If you’ve said, “Prayerfully consider how you can help” for your call-to-action, you’ve made a weak ask. A stronger ask is, “Your immediate gift of $25, $75, or even $125 saves lives today.” Being direct in your call-to-action increases the likelihood the reader will take action. You should give up weak asks for a donation to become a great nonprofit fundraiser. Don’t show up to a data fight with an opinion. Much of fundraising can be measure, reported, and compared. When you’re making decisions about any aspect of fundraising, design, copy, segmentation, giving matrix, you have an opportunity to look to past performance to help inform your decisions. You can setup A/B testing to discover what really does work best. A common saying I use: I am not the donor. Even though I am a donor, I am not the donor persona and the donor often behaves differently than I would anticipate. Though I have an informed opinion, it is often proven wrong with actual results. I have had to learn to let the data speak for itself to make the right decision to improve as a fundraiser. Your fundraising needs to be designed for conversion. It doesn’t mean it has to be ugly or off-brand, but instead, it means it needs to be designed to elicit a response from the reader. It’s easy to get obsessed over the design and begin worrying about small details that won’t make a difference to response. Or worse, to obsess over details that ends up suppressing response. The design of your fundraising pieces is very important. But the design needs to emphasize the psychology of giving: the elements that help encourage people to want to support your organization. You can achieve both good, high quality design that is on-brand and design that converts. I used to work with a marketing manager that we affectionately called a “pixel pusher.” No matter what you did, she would come back with very specific instructions (move this image 22 pixels to the right) that would have little effect on fundraising. Don’t get caught up trying to have the “perfect design.” There isn’t one. If you find yourself making small changes that don’t have an impact on conversion, you’re wasting your time and the time of your designer. Give up obsessing over design. Design for conversion and stop trying to make it “perfect.” Perfect in your eyes may not be perfect to the donor. I know some fundraisers who are perfectionists. They’ve missed many deadlines trying to write and design the “perfect” fundraising appeal. First, the perfect fundraising appeal doesn’t exist. Second, getting it shipped if often more important than getting it perfect. You don’t want to make careless mistakes. Careless mistakes lead to donors wondering if you’ll be careless with their donations. But, you can fix all of the major and careless mistakes and still deliver the fundraiser on time. What happens if you’re late with a fundraising appeal? You often start running up against the next appeal which results in one appeal “cannibalizing” the results of the next. Giving up on being perfect can be difficult. Just one more change will make it right! Then another! Ok, one last edit! The appeal is good. It will deliver results. Get it out the door. For the editors among us, this one is going to be hard to accept. Fundraising has its own styles and form. In fact, editing your fundraising to AP Style will result in decreased conversions and overall revenue. It can be difficult for people who aren’t familiar with direct marketing writing to understand why we write this way, but it’s from decades of testing. Yes, direct marketing writing is going to break a lot of AP stylebook guidelines. But, it works. To be a great fundraiser, you’re going to have to suspend your editor mind when it comes to bold, underline, italics, ellipses, bulleted lists, capitalization, indenting, handwritten notes, and more. This doesn’t mean you can write with poor grammar or no editorial guidelines. You still need to correct these mistakes. It does mean you’re going to break some rules for the purpose of scanning and ultimately conversion. If you’ve been in fundraising for any amount of time, you’ve figured out that you’re not always going to be correct. It’s hard for me to say, but I’ve made guesses on how a test would turn out and my prediction was incorrect. You don’t always know how your donors are going to react. You know the old adage I’ve already mentioned once: you are not the donor. Learn to trust the data. Learn to trust the experts. We partner with BBS & Associates for direct marketing as they have decades of experience and see trends beyond our four walls. This kind of experience, expertise, and ability to test is beyond what we can achieve at our one nonprofit. I trust their advice and trust what they produce. You also have to find people smarter than you to hire. I’ve been purposeful over the years to hire people who are smarter and more capable than me. I am building a team that is positioned to double the size of Food for the Hungry and be able to function at a high level no matter what happens. I have to suspend my ego at times and listen to their advice. I’m not always right. A great fundraiser is someone who can give up their ego and listen to the people around them. If you strive to be a great fundraiser, there are many things you need to learn and do, but equally as important are the things you need to give up. What do you need to give up to become a great fundraiser?